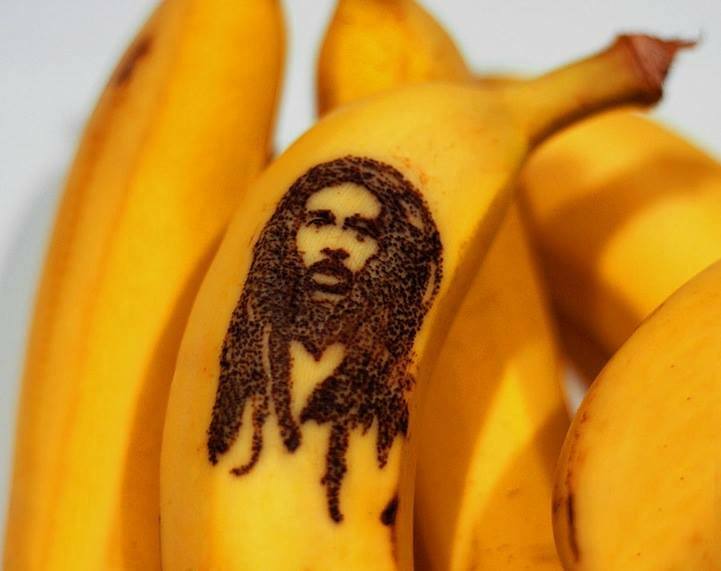 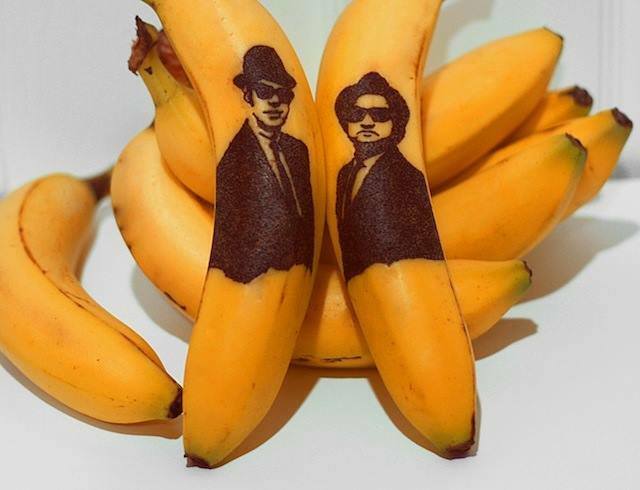 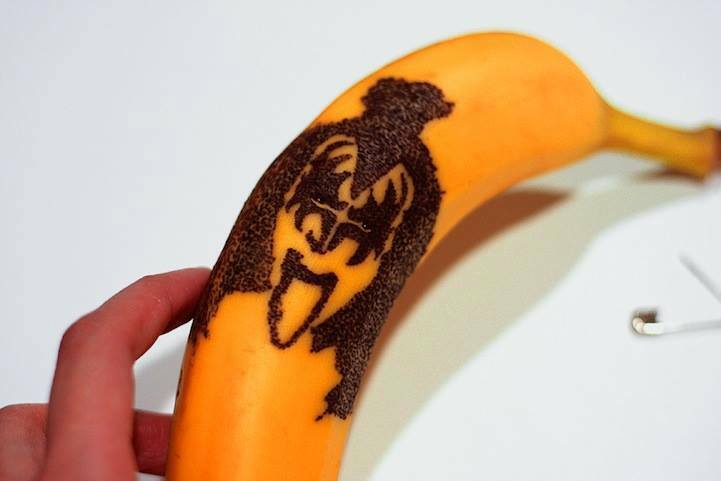 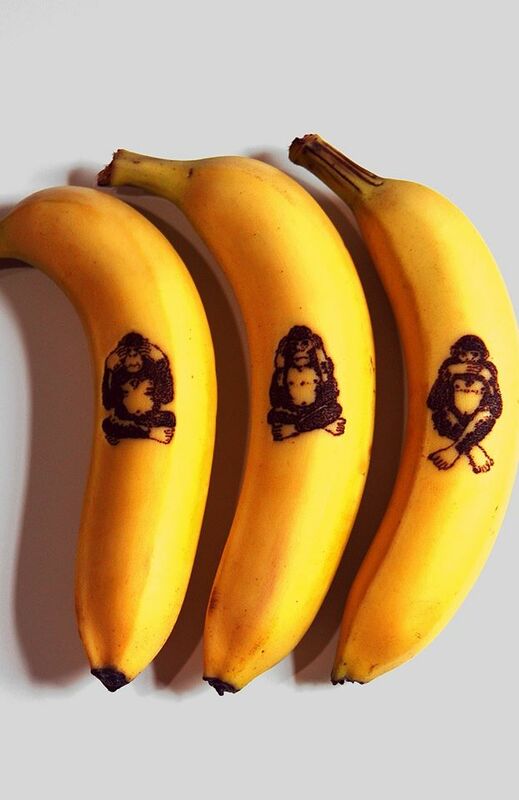 Plátanos tatuados con imperdible sin el uso de tinta. 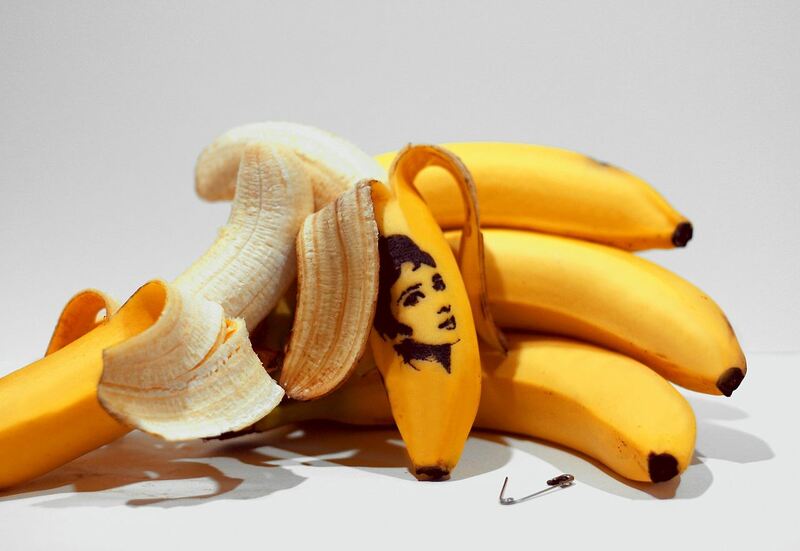 El artista Honey , fundadora del blog Sweet- Station, ha descubierto una manera única de convertir plátanos en arte … con la perforación con imperdibles! 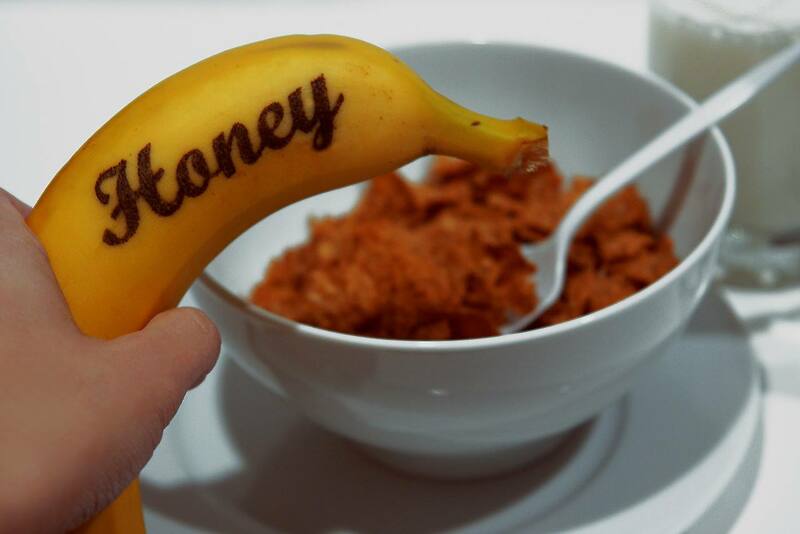 Honey (Nacida 1980, Filipinas) ha estado trabajando como diseñadora gráfica e ilustradora desde 2002 en Nueva York y Nueva Jersey. 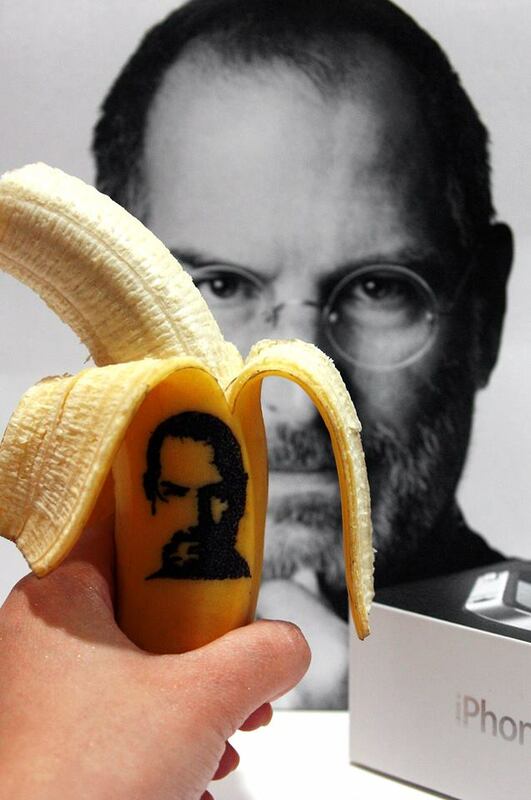 Ha hecho trabajos para clientes, incluyendo , Mercedes Benz, Seiko ,Yamaha,Takamine, Carrow y Volvo, entre muchos otros. 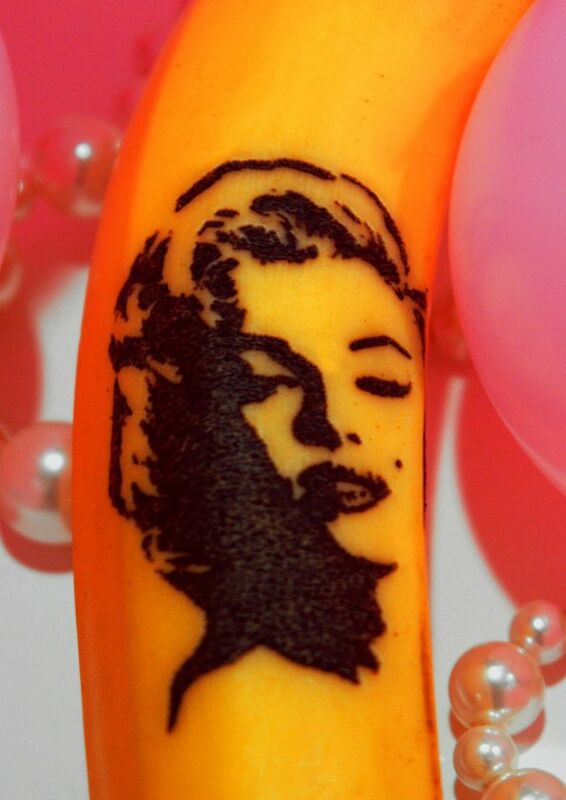 Tattooing a banana with safety pin without using ink. 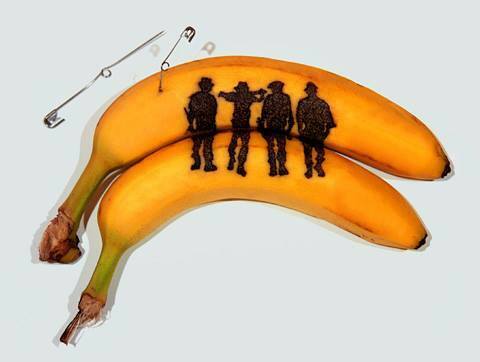 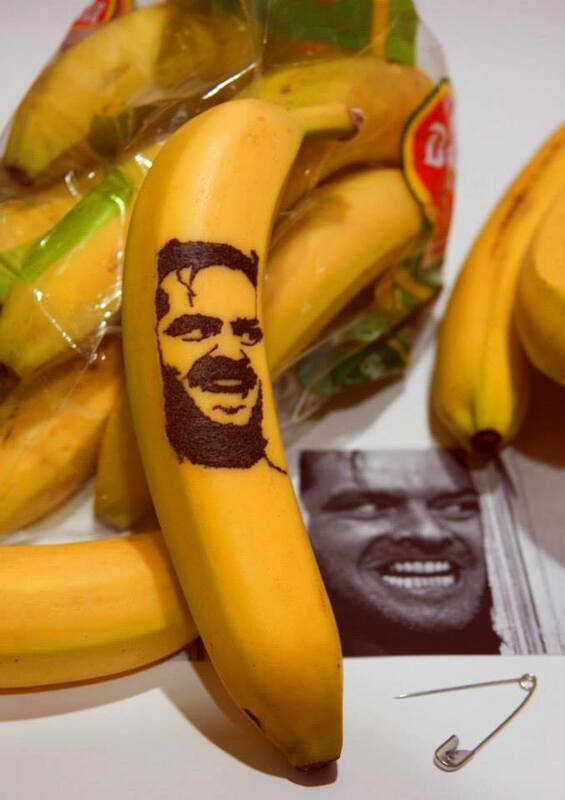 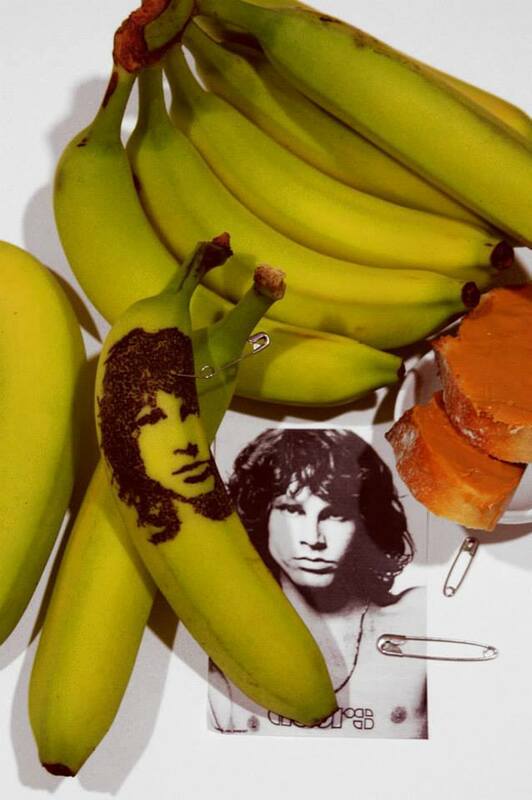 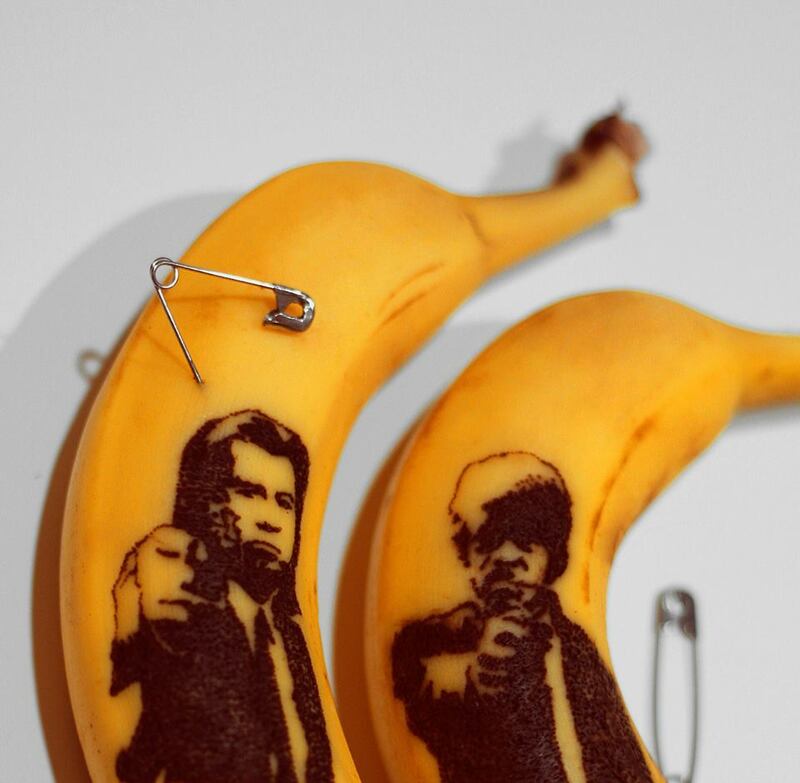 The artist Honey, founder of the website Sweet-Station, has discovered a unique way to turn bananas into art… by piercing it with safety pins! 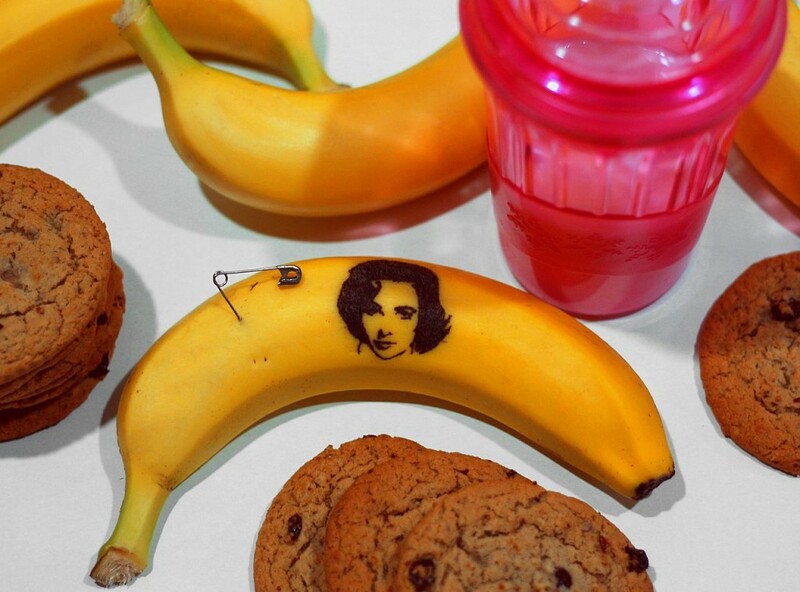 Honey (born in 1980, Philippines) has been working as a graphic artist and illustrator since 2002 in New York and New Jersey. 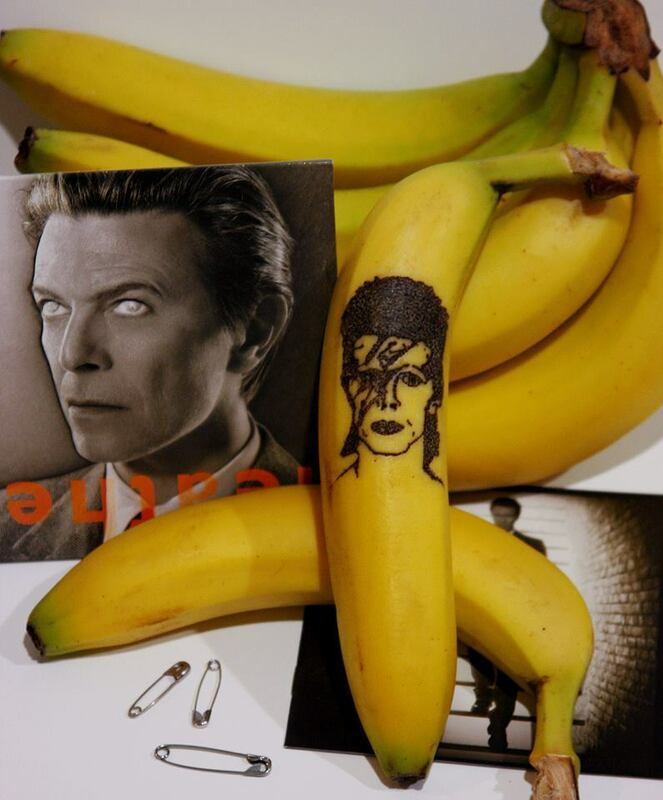 She has produced work for variety of clients, including, Mercedes Benz, Seiko, Yamaha, Takamine, Carrows, and Volvo among many others.